Looking for a new job? Select your resume package and land a new job! Scroll Down And Choose Your Best Package. Our Team Will Email You Straight After. Your purchase is covered by a 110% refund policy. We are the only ones offering such a solid guarantee. “The return on investment for our services can be profound. Shorten your job search by only a few days and our packages have paid for themselves. REACH OUT TO YOU VIA EMAIL STRAIGHT AFTER RECEIVING YOUR ORDER. You mostly have short work experiences and internships, right? Not an issue at all, we’ll highlight them in such a way that recruiters will beg you for an interview! Fairly establised in your career and want to increase your pay? (Our clients land jobs with a salary up to 50% higher!) Or simply want a new challenge? Your main challenge is to highlight all your experiences in only a few lines and organise them efficiently in your resume? Common situation. Click on “SEE PRICING”. You read well. 110% money back guarantee. We are so confident that you will be happy with the results that we offer you UNLIMITED amendments for 7 days from the day you receive your first draft. 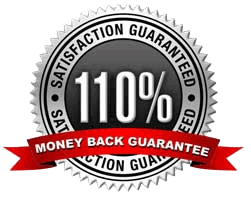 Also we have in place a 110% money back guarantee. 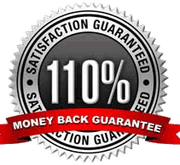 That means that we will give you a full refund AND an extra 10% if you feel like we haven’t added any value to your documents after receiving the first draft. But don’t get too excited, we never have to use it. I had no idea of how to brand myself properly through my resume and my LinkedIn profile. The team at ExcellenceResumes was fantastic, bringing my whole profile to a level that I couldn't imagine. Smooth process, friendly and fast delivery. As a result, I landed a significant number of job opportunities even if the economical context in Singapore wasn't positive at all. 100% satisfied, merci beaucoup! ExcellenceResumes provided me with the best service I could imagine. In only 3 days, I received my triple package! A few weeks later I got interviewed by the University I was targeting and signed a job offer. The resumes and LinkedIn profiles they craft are super efficient. I am blown away! I recently found myself unemployed and realized that I had to adopt a new sales strategy for myself. 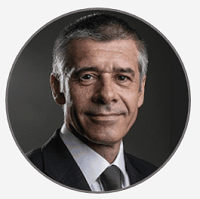 Challenging times in the oil and gas industry; but with ExcellenceResumes's help and insight, I was able to recognize the value they could bring with their services and expertise. They reworked my CV and customized my Linkedin profile, highlighting my key attributes. If you are serious about your career and profession it's well worth getting in touch with ER to give you the best possible opportunities for success. Any Doubt? Discover Our FAQ Section Below! MOST COMMON QUESTIONS: How to get started? What package should I choose? What does your service include? We always recommend our triple package (see link below) as well as all the extras we offer. You must select your items depending on the TOTAL number of years of work experience that you have (internships included). Your responsibility level DOESN’T MATTER for the choice of your package, but only the total number of years of experience. > Click HERE if you have less than 5 years of work experience. > Click HERE if you have between 5 and 10 years of work experience. > Click HERE if you have more than 10 years of work experience. Important: our “set of extra tools”, valued at more than USD300, currently comes automatically for FREE with any triple package. You won’t find this anywhere else! See below (zoom in). Are you a Singapore based company? Yes, we are a Singapore-registered company. ExcellenceResumes.com is operated by Blue Mango Services Pte Ltd (UEN 201614555Z). Although many of our clients are from Asia, we do operate worldwide. Select your package and get started now, you won’t be disappointed with our work! We give you a full-refund if you feel like we haven’t added value to your profile anyway, ZERO risk! Incredibly, all our testimonials are genuine. We are the personal branding agency with the highest number and proportion of 5-star reviews worldwide! You can view the profiles of our clients who have left recommendations via our Google business page, our Facebook page or Linkedin – be ready to be impressed! Here is a screenshot of our Google Business Page. As you can see, there are tons of Five-Star reviews on it! You can click on the image to be sent to our Google Page. 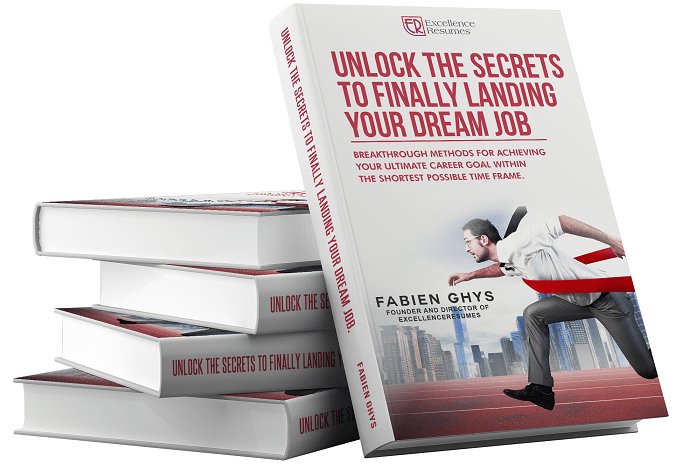 Lastly, our Director and Founder Fabien is one of the most recommended LinkedIn profiles in Singapore with a very high number of recommendations from other LinkedIn users! Working with us is a guarantee of satisfaction. Be our next success story and let us boost your personal branding now! Do you contribute to Society? We do! A part of the profit generated via our referral system is donated to the Children’s Society Of Singapore. Working with us, you’ll contribute to society in a real way. Ready to get started? 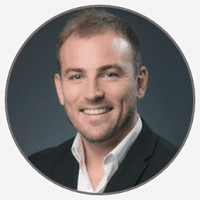 Are you a recruiting or a headhunting agency? We go way beyond. We focus on creating High-Converting documents that can drastically change the way you’ve been job-hunting so far. We’re able to position you as the obvious leader in your industry so recruiters will want to hire you instead of hiring any other candidate. Also, we’ve developed a solid expertise when it comes to LinkedIn and we’re always willing to share our secrets. We’ll give you all our tips if you decided to work with us. Get ready to be impressed. After working with us, you won’t need help from any headhunter at all: your own LinkedIn profile will become your 24/7 personal headhunter. If you select our Triple Package, we’ll introduce you to a network of more than 10 Executive Headhunters we are working in hand with ExcellenceResumes, most of them are based in Singapore but operate in the APAC region. Check below if you’d like to discover more details about the documents we craft. ER is a Personal Branding Agency. We help professionals from several sectors OUT-MARKET their competitors, positioning them as OBVIOUS leaders in their industries. We combine expertise in copywriting with solid experience in digital marketing, especially when it comes to LinkedIn. – LinkedIn profiles optimisation. 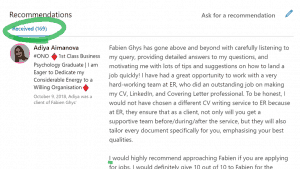 Some of our clients are receiving up to 5 job offers/week via LinkedIn after we optimise their profile. Other clients become the MOST VIEWED profile among all their connections and are contacted by recruiters/headhunters on a DAILY BASIS. – We introduce our clients to a network of Headhunters, provide them with Linkedin video training courses, social media tools, career progression guidance, interview tips, business card templates and a lot more. 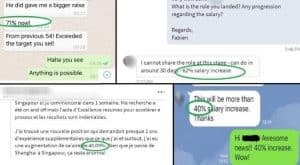 We’ve had a lot of clients securing a 30% salary increase thanks to us. 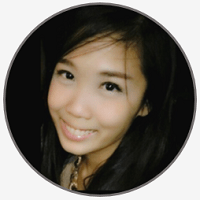 Our most impressive case was an executive who doubled her salary after we helped her. We are highly committed to our clients’ satisfaction and we work hard for them to get results. Our methods have been tested and approved by thousands of professionals since 2015. Do you guarantee results? How does your refund policy work? We do! We guarantee that if you get your professional documents optimised by us and follow all our tips, you’ll land plenty of interviews. With our ZERO risk policy, we give you a full refund AND an extra 10% off your purchase if you feel we haven’t added value to your profile after you’ve received the first version of your new documents. Don’t get too excited though, it never happens. We accept orders only when we know there’s a certain scope for improvement on the documents. Check out our testimonials if you still doubt! Select your package and get started now, you won’t be disappointed with our work! Are your writers native english speakers? They are! To provide such high-standard services as ExcellenceResumes does, a perfect command of the English language is necessary. For this reason, all our executive writers are native English speakers. They’re even able to write in British or American English depending on your profile. Amazing, isn’t it? Let us show you what we’re able to do, we’ll turn your resume into an interview dispensing machine! I don’t have a Paypal account, can I pay via Credit/Debit card? Yes, you can. 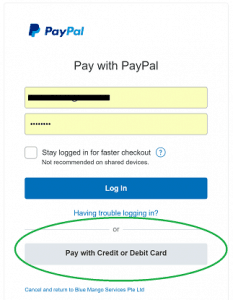 Once you are on the payment page, choose “Pay with credit or debit card” and enter your payment card details. You can use your relative’s card if you wish. > Click HERE if you have less more than 10 years of work experience. Is it safe to pay via your website? It is! We use Paypal, the safest and most trusted online payment gateway. There is ZERO risk for you and Paypal even offers guarantees in case of issue. Our services start from 29 USD. The investment from your side is actually very reasonable considering that, for example, we work between 5 and 8 hours on your profile if you order a “Triple Package” from us. You certainly understand that the amount of this investment in your career depends directly on what items you choose and how willing you are to invest in your future. We always recommend our Triple Package (High-Converting Resume, Persuasive Cover Letter, LinkedIn profile + introduction to a few secret plugins) as it is excellent value for money and has given impressive results. We’re proud to say that we offer the best value for money. As our testimonials show, we provide a world-class service at an unbeatable price. For this reason, we do not offer discounts. Note that for each order, there are a few freebies included… Want to discover what they are? We charge in USD because we’re being approached by business leaders from all around the world. Don’t worry though, Paypal (our payment gateway) will automatically convert the amount to your local currency at the best exchange rate. Ready? Select your package below! How will I communicate with my writer? Is there a phone consultation included? A phone consultation was initially included in our Triple Packages but we quickly realised it was, most of the time, totally unnecessary. Our clients were paying for something they didn’t need as the first step of our process is to fill up a questionnaire. Most of the time, this questionnaire provides our writing team with all the necessary information as long as filled up properly. That’s the reason why we decided to remove the phone consultation from our packages and reduced our pricing accordingly. However, for our clients who feel like talking to our copywriters, we’ve added the phone consultation as an option. Want to see the price of it? To place an order, simply go to the category called “select your package”, then choose your package depending on your career level, click on “next” and complete the form with your personal information. Once you are done, click on “next” and select your payment method. You can then proceed and pay via Paypal or Credit/Debit card. Our payment gateway (Paypal) is the safest you can find on internet. Maximum 1 business after we receive your order, one of our executive senior writers will contact you via email to collect the information we need to get started. To make easier, we’ve included the links here below for you! Do you provide services to professionals based out of Singapore? Your location doesn’t make any difference to us since we have developed an online-based process that allows you to work with us wherever you are located. We don’t use templates. Each order is specific. Each profile is different. Using templates is a cheap and inefficient solution used by resume writers who want to do a quick job, and we’re not part of this category. Select your package and let us help you land your next role. Get ready to be impressed! How long does it take until I receive my new documents? What is the process? Our process is very smooth and straight forward. You can assume that from 5 to 6 days from your order confirmation you will have all your new documents in hand. 1- Select your package and process to the checkout. 2- Check your mailbox (INCLUDING YOUR SPAM FOLDER!) and open our welcome email. 3- Complete the questionnaire attached to the email. The executive writer assigned to your order will contact you via email within 1 business day after we receive your order to introduce himself and collect the questionnaire when you are done with it. 4- Maximum 3 working days after sending us your questionnaire, you’ll receive the first version of your new documents. 5- Request as many amendments as you want for 7 days after you’ve received the first version of your documents, until you are fully satisfied. Note that we offer an option for a 24h urgent delivery if you are in a rush. 6- Order complete. You’re now ready to prospect and to get the best of LinkedIn (we’ll share plenty of tips with you) to land your next role. Select your package and get started now, you won’t be disappointed with our work. Is it possible to arrange a face-to-face meeting? We’d love to, but that would increase the price for our services and decrease our productivity. For your own benefit, we work exclusively online. Will I have to create a new LinkedIn account? That’s not necessary at all, don’t worry: you won’t have to start your account from scratch and you’ll keep all your connections! We craft new content for your Linkedin profile and all you have to do is copy/paste it. Extremely simple and easy! Will you have to connect to my LinkedIn account? Not at all, we won’t have to connect to your LinkedIn account. We understand your concern about privacy. Corporate photograph, how does it work and can I see an example? This service is offered to Singapore-based clients only. We partner with the best photographers in Singapore and have arranged a special deal with them. Simply make your purchase through our website and you’ll receive the details of the photographer for you to arrange an appointment with him at your convenience. The studios are located at two very central places (access by public transport) both are very easy to reach! Ready to go shine with a corporate photoshoot and a new resume?